After the «ring of Theseus», the Unseen Museum deals with the eternal home of a cat from ancient Egypt. 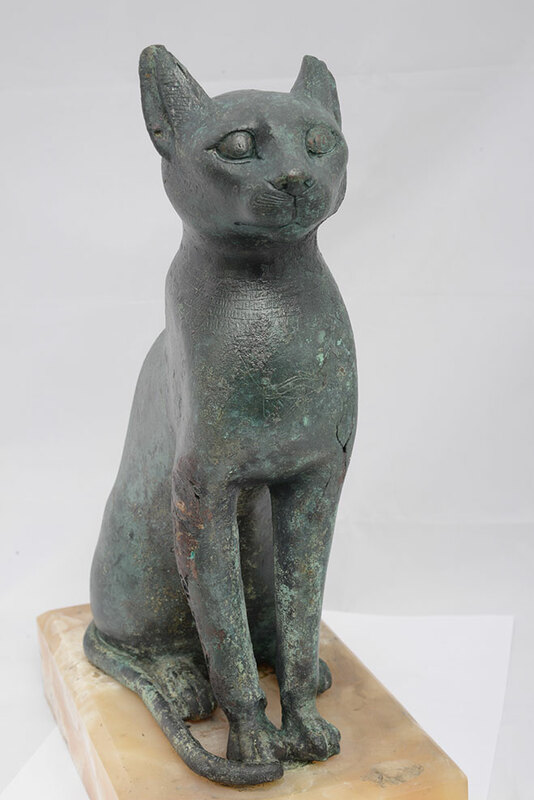 This is a bronze cat sarcophagus (inv. no. AIG. 698), which originally contained a cat mummy and was manufactured to be a votive offering to goddess Bastet. The elaborate bronze case has the form of the sacred animal into which the goddess would turn when she wanted to appear to her worshippers. The sarcophagus dates between the Late Period and the Ptolemaic times (664-30 B.C.) and is displayed for the first time. It comes from the Collection of Ioannis Dimitriou from Lemnos, donated by him to the National Archaeological Museum in 1881. Along with the bronze cat, a replica cat mummy is on display, similar to the one that the sarcophagus had initially contained. The original cat mummy is exhibited in room 40 (showcase 16c) of the Museum. 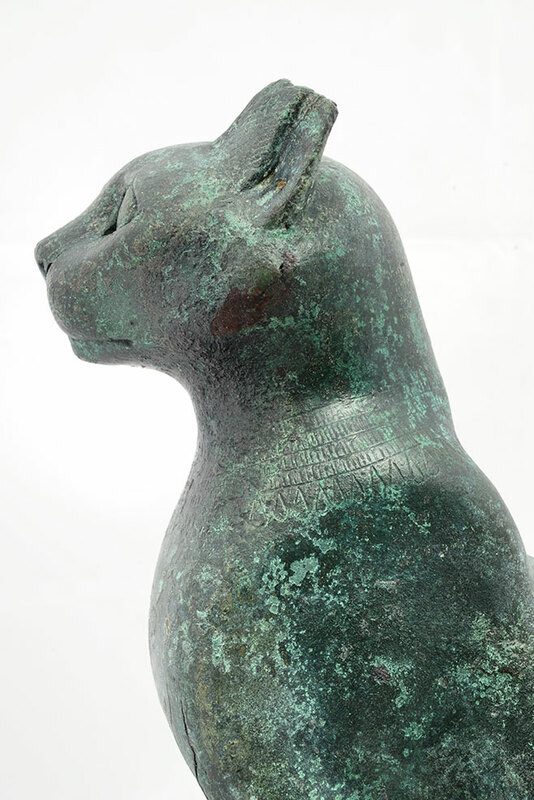 The Egyptian cat will be on display from 16 of March until 17 of May.